Pre-curved Mylar available in various widths. Priced per meter. Ideal for use to provide an aerodynamic seal for control surface gaps, canopy gaps, undercarriage gaps and more. This tape comes without the double sided tape pre-fitted to make it easier for you to install. If you need double sided tape as well, please see our TESA double sided tape. 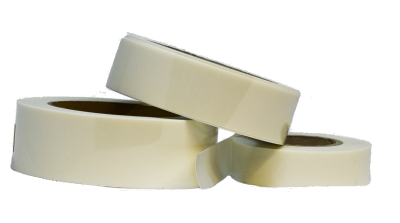 Often used in conjunction with TESA capping tape, TESA double side adhesive tape and Teflon tape to provide the ultimate, most efficient seal for control surfaces. For orders of more than 20meters, the mylar will come in multiples of 20m rolls + any extra on a separate roll.